The digitizerNETBOX is a remote solution that is connected by Ethernet suiting the LXI standard. 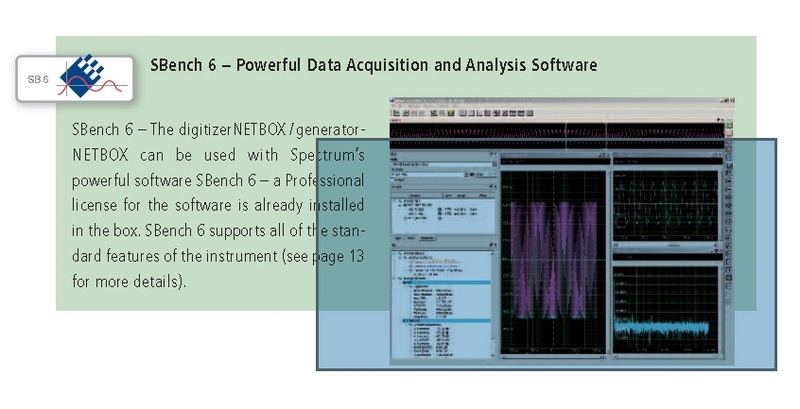 The digitizerNETBOX can be used as bench-top instrument directly connected to a laptop or desktop PC or as 19" instrument connected to the company LAN and accessible from anywhere. The digitizerNETBOX / generatorNETBOX is a fully compliant LXI instrument that is able to show the status of the box along with the current acquisition / generation information. It offers an IVI compatible interface for the IVI digitizer, IVI scope and IVI FGen classes. LAN eXtensions for Instrumentation (LXI) is a standard developed by the LXI Consortium, an industry consortium that maintains the LXI specification, promotes the LXI Standard, and ensures inter operability. 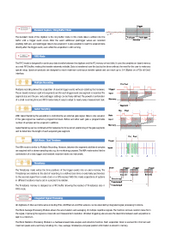 The LXI standard defines the communication protocols for instrumentation and data acquisition systems using Ethernet. The digitizerNETBOX can be used for many measurement applications. Units configured with the DC power supply and directly coupled with a laptop computer are ideal for mobile or service measurements powered from a vehicles battery. These applications would include invehicle measurements. Using the power of the LXI instrument interface the digitizerNETBOX can also be located in a lab where multiple users can individually access it via LAN. The digitizerNETBOX gets its IP address from a standard DHCP server and can be reached over an Ethernet connection like any other TCP/IP device. Examples include control room situations and factory floor monitoring operations. It is also useful in people unfriendly environments including those with excess noise, chemicals, explosives, radiation or high-voltage. Connecting the digitizerNETBOX to a wide area network (WAN) allows global access from offsite analysis locations. This type of operation includes collaborative analysis involving multiple sites and is ideal for large projects.